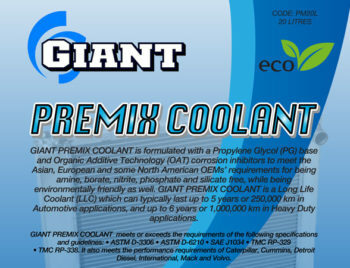 GIANT MULTICLEAN is an aqueous based biodegradable cleaner and degreaser with a wide variety of applications, ranging from light to heavy duty usage. 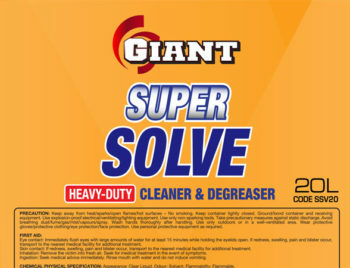 it is specially formulated to lift and remove oil, grease, grime, dirt, and other stubborn stains normally found on industrial and commercial machineries. 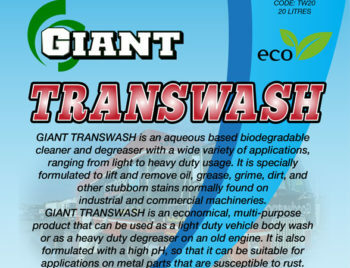 GIANT MULTICLEAN is an economical, multi-purpose product that can be used as a light duty vehicle body wash or as a heavy duty degreaser on an old engine. It is also formulated with a high pH, so that it can be suitable for applications on metal parts that are susceptible to rust. 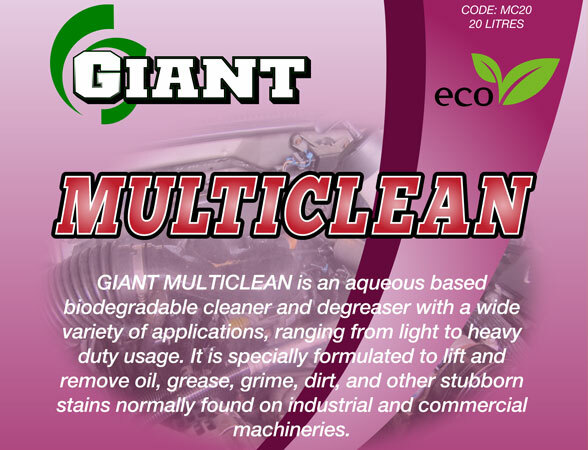 GIANT MULTICLEAN can be used in most machineries, equipment and vehicles found in the commercial, industrial and agricultural sectors. 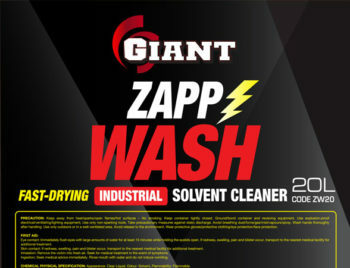 GIANT MULTICLEAN can be applied using spray, soak or mop methods. Heavily soiled – use as concentrate – let it soak for 10-15 minutes if necessary. Medium soiled – dilute with 2 to 20 parts of water – let it soak for 10-15 minutes if necessary. Lightly soiled – dilute with 20 to 35 parts of water.